During the final months of the Torch of Heritage and Culture‘s journey across Europe, a public campaign has been launched allowing citizens to participate and make their personal messages heard. FRH encourages everyone to contribute a personal letter to our ever-growing collection. Besides sharing your story, there are more ways to participate, such as spreading the word with like-minded organisations, press and individuals. For this purpose, you can find a press release below that can be easily shared. 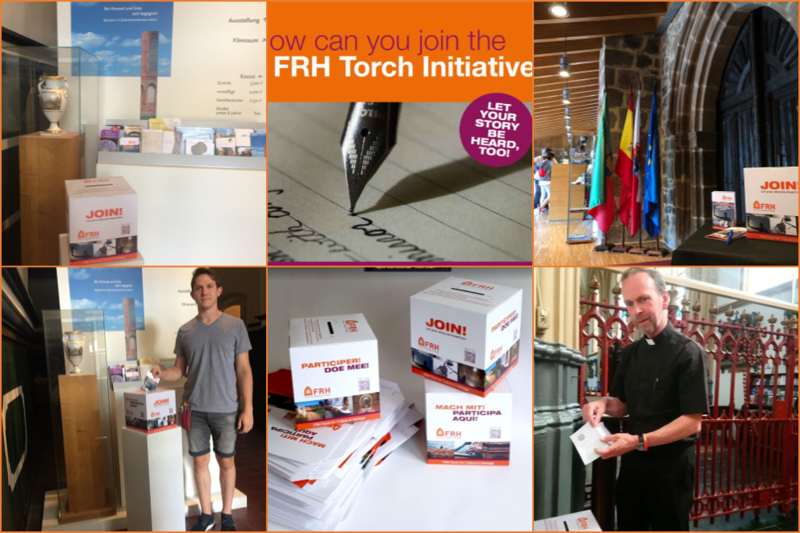 Finally, if you have a nice spot to set up a FRH Torch box, we will be happy to send you one, along with leaflets and instructions, so you can join our public campaign supporters, showcased on our Torch route map.